Home » Telugu » News » Why Allu Arjun starrer action entertainer Naa Peru Surya is a must watch! 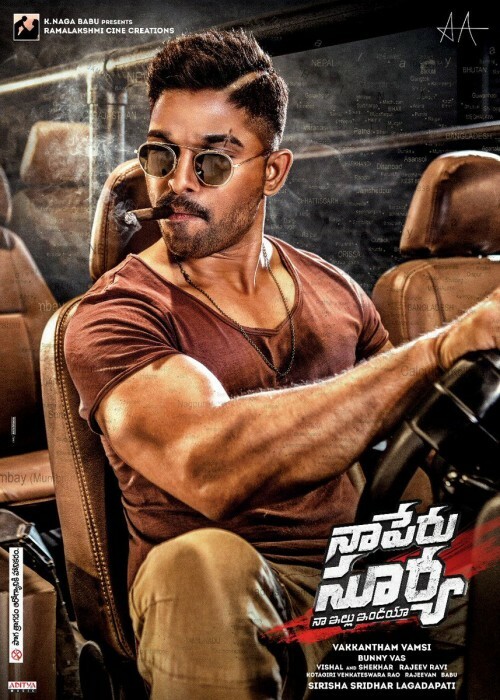 Why Allu Arjun starrer action entertainer Naa Peru Surya is a must watch! Naa Peru Surya is slated to be released today worldwide and there are many reasons why this action entertainer is a must watch. Actin entertainer might be a routine saga in Tollywood however the same genre with Indian army in the backdrop has always created an impact on the audience mind. Telugu films in the past have had army in the backdrop in the story but none have created an impact as Naa Peru Surya has doen with its first look and teaser. Naa Peru Surya will mark the debut of Vakkantham Vamsi as a director in Tollywood who has penned down stories of many hit films like Kick and Temper. One does not need any introduction to these films’ run at the box office and how they proved Vamsi’s potential as a writer. And now turning to direction, expectations are high on Vakkantham Vamsi and everyone is hoping that Naa Peru Surya will have another hit story. Naa Peru Surya will not be the first film for this Bollywood duo, Vishal-Shekhar, who had already composed music for Venkatesh starrer Chintakayala Ravi exactly 10 years ago in 2008. However, the songs and the sounds used in the teaser seem like this is the first film for Vishal-Shekhar and have given it their all. Music plays a vital role when it comes to films of stars like Allu Arjun and Vishal-Shekhar seem to have hit the right chords with the music album of Naa Peru Surya. One can talk about the actor’s perseverance and determination for perfection all day. And these adverbs seem to have gone to the next level with Naa Peru Surya. Allu Arjun’s look is the first thing any viewer would notice. The army-style crop-cut hairdo and the muscled body has left many fans in awe and inspiring as well. We sure don’t want to miss Naa Peru Surya after having looked at Allu Arjun’s intensity in the teaser released so far.